Wirtgen surface miners cut, crush and load the material in one single pass. This process eliminates the need for drilling, blasting, loading and primary crushing. This means that one machine completes the job of many different pieces of equipment. The mining process thus becomes straightforward and economically efficient. The 2200 Surface Miner uses a mechanically driven cutting drum for the selective mining of minerals with unconfined compressive strengths of up to 70 MPa. It can be equipped for loading the mined material via a front-loading conveyor system with a slewing and height-adjustable discharge conveyor, or for working in windrowing mode. It has a cutting depth of 0-300mm and cutting width of 2200mm or 3800mm.. 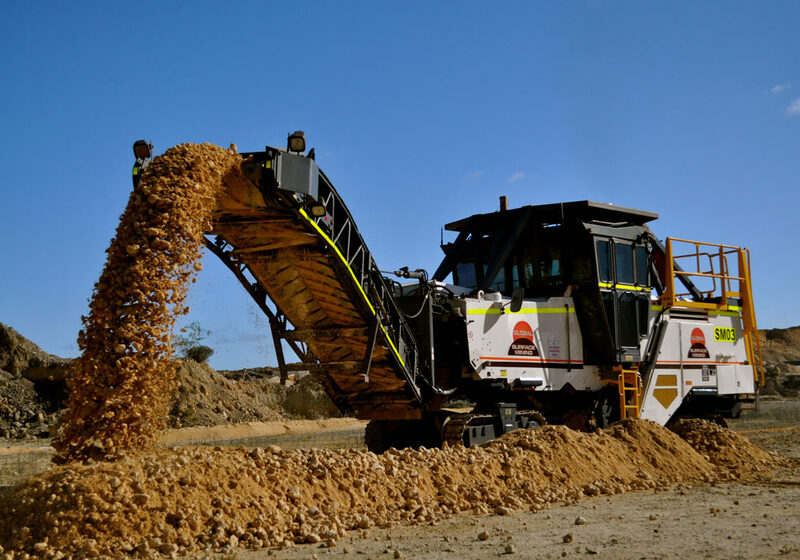 Global was the first company in Australia to import and operate the Wirtgen 2500 Surface Miner. The 2500 is much larger than the 2200 with a cutting depth of 0-600mm and a cutting width of 2500mm. The machine requires only one operator and can be operated in either a windrowing configuration or conveyor mode. The surface miner uses a mechanically driven cutting drum for the selective mining of minerals with unconfined compressive strengths of up to 80MPa. 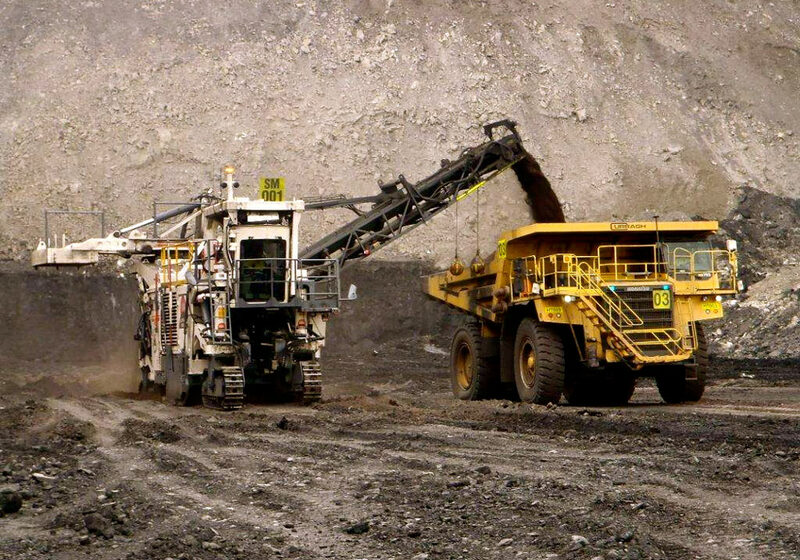 Global also owns a Wirtgen 4200 Surface Miner which is the largest of the Wirtgen mining machines. It has a two-stage conveyor system with a 1800mm wide primary discharge conveyor which supports the miner’s impressive cutting performance of up to 3,000 tonnes per hour. The drum is 4200mm wide and the maximum cutting depth is 830mm. 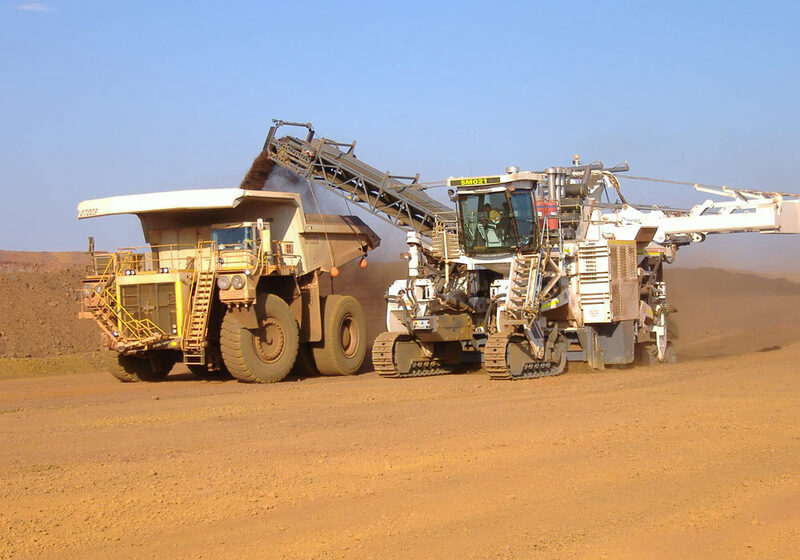 To ensure absolute precision, Global utilise Topcon and Trimble GPS units on its surface mining machinery, for highly accurate milling at variable depth and slope. It is a cutting-edge earthmoving grade control system that puts design surfaces, grades and alignments inside the cab. The system uses GPS and a radio correction signal to accurately position the milling drum in real time, significantly reducing material overages and dramatically improving productivity and profitability. Variations of the system allow for use of Laser or Total Station technology, to allow use in tunnels or other, restricted situations where GPS is unavailable or undesirable. Direct Loading - The discharge conveyor can be slewed to either side of the machine, enabling the operator to adjust loading of the cut material to the position of the truck. Side-casting - The discharge conveyor can also be slewed to create a large windrow by loading material along the same strip over several different cuts. The conveyor is slewed incrementally to pile material on top of itself creating a more substantial windrow for dig units. Windrowing - The surface miner can discharge the material via an opening in the scraper blade which allows the mined material to be deposited as a smaller windrow between the machine’s crawler tracks. To complement the fleet of surface miners Global has a range of ancillary equipment and resources necessary to provide a stand-alone service.